Licensed plumbers, lifetime warranty on all Sydney plumbing work. We have plumbers on standby around Sydney and ready to service you any time of the day. Honest up-front pricing. We provide plumbing services Sydney wide including all water plumbing services, gas, kitchen bathroom and hot water services. All our plumbers guarantee lifetime workmanship on all our work. To remove any possibility for confusion we provide up-front plumbing quotes before commencing any work. You will know exactly how much the plumbing job will be before we commence any work. Hundreds of businesses and families across Sydney have used Wilco Plumbing Services. We have saved thousands of homes from leaking pipes and broken drains. If there is a team of plumbers you can rely on, it will be Wilco Plumbing Services. Lifetime guarantee on all repairs and installations. That includes all bathroom plumbing, kitchen plumbing, leaking toilets, leaking taps and other tap repairs, blocked drains and toilets, hot water repairs, water leaks, water pressure problems, gas plumbing and gas fitting. Plumbing service on time. Our Sydney plumbers have had years of training and experience in all plumbing installations and repairs. All our plumbers are licensed professionals so you can be guaranteed of quality workmanship and headache free repairs. Honest up-front pricing. You don’t have to feel worried about any plumbing job ever again. We provide on the spot quotes so you know exactly what price you will pay. There are no surprises or confusion with work completed. 24×7 365 days of the year service. Pipe broken at 3am? No problem, give us a call and we will respond to your call. Christmas or New Years? No problem, we are available any hour of the year for all your plumbing needs. Regardless of the weather, time of day or time of year, Wilco Plumbing Services plumbing service is only a phone call away. Same day plumbing. Our promise to you is to ensure your plumbing problem gets fixed on the same day and on the spot. No need for delays, gas leaks, burst pipes or flooded bathrooms. For the fastest plumber to your doorstep, call Wilco Plumbing Services. Do you need an honest plumber who is on time, reliable, and experienced? Our team of professional plumbers can fix any leaking tap, blocked drain, hot water or 24×7 emergency plumbing. We can organise complete gas installations, gas cooktop, gas connections and gas heaters. Hot water not working anymore? Wilco Plumbing Services are a team of experienced plumbing professionals who can help you with all your hot water problems. We guarantee same day hot water emergency service so you can have hot water running ASAP. Our plumbing repair is quick, dependable with plumbing repair warranty on all work completed. Our team of plumbers is waiting for your call to clear out any blocked drains you have, including tree root problems, blocked toilets and blocked kitchen sinks. Our plumbing emergency service is available at a phone call away. From flooded homes on a public holiday such as New Years Eve to blocked drains over-flowing 10pm on Sunday night, one of our Wilco Plumbing Services professionals will come and have it fixed. We are your local emergency plumber guaranteeing 24 hour 7 days a week plumbing service. We service several strata management complexes in Parramatta. We have been specialising in strata repairs for several years across all areas in Parramatta. This includes after hour call-outs and emergency repairs for all building problems whether strata townhouses, strata apartments or large commercial offices. We service shopping centres, restaurants, commercial offices, commercial building premises large and small. Whether it is an emergency affecting one part of the building or the whole building, we will be quick to respond. For peace of mind, all our plumbing work comes with fixed up-front pricing. We are undoubtedly Sydney’s best plumber. Whether it is a blocked drain, emergency water leak, broken tap or general plumbing work, we are the team of plumbers in Sydney who understands the true meaning of job satisfaction. 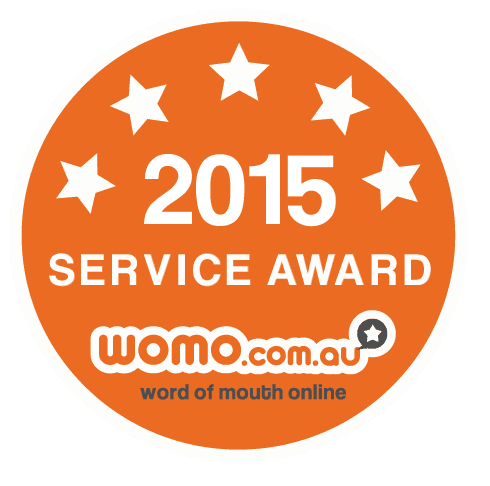 We guarantee our plumbing customer service and workmanship will beat any other in Sydney. It is our mission that our plumbing job is completed beyond your expectations. With lifetime warranty on all our plumbing work, you can have peace of mind Wilco Plumbing Services is looking after you. We treat every Sydney plumbing job as if they were our own. Our job is to make sure before we start the job, you understand what the issues are, what work needs to be carried out and a transparent clear price quote is approved before we proceed. If any alterations or incidentals may be required, you will be notified before you pay a single dollar. Dealing with Wilco Plumbing Services we will ensure you are looked after 24 hours, 7 days a week, 365 days of the year. Wilco Plumbing Services is a team of professional plumbers based in Sydney. Being reliable, our friendly Wilco Plumbing Services are ready to service locally around your area and we promise to be on time. We also promise value for money in our work, we focus on quality, lifetime warranty on workmanship. All our plumbers are fully licensed. Wilco Plumbing Services is recognised as a trusted provider of professional plumbing services in Sydney. We are Australian owned and professionally operated business that is dedicated to servicing the plumbing needs of both residential, commercial and strata properties on time, with lifetime warranty on all work and value for money. Regardless of the size of the plumbing service, you can have peace of mind knowing that you are covered by the Wilco Plumbing Services warranty that we pride ourselves on. For our plumbing business, customer service is our highest priority and this is reflected through our highly skilled and experienced team of plumbers that are ready to attend to any problem in your local area. At Plumbing Sydney Wide there is someone waiting to service you. Delivering top quality and reliable service in Sydney everyday. Wilco Plumbing Services warranty has been with our business for many years and our mission statement is what we live and breathe. For every plumbing service, we promise reliable service, quality work and the best possible quote for every plumbing issue ensuring all our customers are happy with the work we deliver. Each plumbing job we do is treated with the utmost care and attention. All of our plumbers are fully stocked with all the parts and tools necessary to complete the job on the day. You can rely and trust Wilco Plumbing Services to fix any plumbing problem simply by contacting us as we are available 24/7. We’ll give you peace of mind that we’ll be there in an hour and a half with a fully equipped van ready to go at any time of the day or night; this is part of our plumber service guarantee that we will be on time and professional. Choosing the right plumber is always time consuming but as hundreds of Sydney businesses and residential home owners have done, one phone call to Wilco Plumbing Services is all it takes so you can enjoy your day without any further worries. Wilco Plumbing Services is your complete one stop shop for all Sydney commercial plumbing needs. It is important to choose the right plumbing partner for your building. Wilco Plumbing Services makes the choice much easier as we specialise in commercial plumbing across Sydney including commercial office spaces, retail shops to large scale development projects. We take pride in delivering high quality plumbing services. We meet both strict security and building compliance regulations as well as dealing with complex building plumbing problems such as designs of hydraulic and fire services, gas service installations, sewerage and trade waste management. Our team is experts at understanding each commercial building plumbing design and requirements. We ensure there are no headaches for the business owner and building management. Our experience spans across a wide range of projects including government and private schools, aged care facilities, hospitals, NSW Government Departments including Department of Commerce, police stations, clubs, bars and pubs. When you have a dedicated, professional and honest team such as Plumbing Sydney Wide, you know delivering professional plumbing services is only a phone call away. Some of the commercial plumbing services we have completed include: Sound Wrap Acoustic, Insulations Systems, Sewer Drainage Minor & Major works, Stormwater Drainage & Civil works, Water Services – Potable, Non Potable & Recycled, Hot water service installation, Flow & return installation, Fire Hydrant Service Installation, Fire sprinkler service, LPG gas installations, Supply of all PC Items & Tap ware, Preventative plumbing maintenance, Water and energy conservation and Backflow prevention. One of the most common Sydney plumbing problems at home is the blocked drain. No matter the source of the blockage, the sink, basin or toilet can get blocked at any time and cause great strain in the household particularly when there is only one bathroom. Temporary measures include harsh chemicals and bleach that help to break some of the blockage away, however permanent solutions are required to completely unblock drains. For example, large schools or office where the drain has blocked will require more sophisticated tools to investigate and address the source of the problem. There are two methods our expertly trained plumbers use to clear blocked drains. The first is manual rodding where our plumbers use a long metal rod to prod and clean out the debris blocking the drain and the natural flow of water. This is the most common method and to do this properly without causing damage to surrounding pipes, a professional plumber with the right training will be able to unblock the drain and clear out the debris. The second approach is the use of high pressure jettings. The benefit of using this technique is any residual debris is also removed from the sides of the pipe or drains and prevent it from blocking again in the future. As the name suggests, water is shot at high pressure directly to the blockage. It is effective where your Wilco Plumbing Services plumber finds that there is enough space for them to use the high pressure jetting properly. Professional application of the high pressure jetting is required to prevent drains for blocking up again. Because of this you should call Wilco Plumbing Services who will be willing to do this technique even if you are not suffering from a blocked drain, in order to ensure your drain won’t get blocked in the future. This can be particularly useful for many large public buildings where a drain blockage could result in a real disaster and huge losses. Burst pipes arise for a variety of reasons. The main reason in Australia is due to high pressures or damages caused by accidents (wall moving or vehicle accidents). Burst pipes need to be repaired as soon as possible otherwise the whole piping system may break down causing significant costs to repair. Early signs include water gushing out uncontrollably and the mains water supply needs to be turned off immediately to prevent your home or business being completely flooded. Turning off the water can be done easily and there is no need to wait for a professional to do it. Another sign is the loss of water pressure when watering the garden or taking a shower and when this occurs, investigate for a burst pipe such as extensive water leakage and contact a Wilco Plumbing Services representative as soon as possible. For individuals who have already suffered plumbing problems in the past, the memories and hassles to find a plumber and fix the problem in time will last a long time. Burst pipes happen literally in minutes and can change the situation around the home or office within minutes. In many cases, the first thing to remember is to calm down and not panic as the first thing people forget to do is turn off the water supply off. Instead of trying to cover the burst water with a towel or bucket, immediately turn off the mains supply to prevent further damage to the property. Burst pipes require immediate attention and repairs. We help our customers save the headache, time and money to fix the problem as well as assisting with insurance reports and damage reports. Our plumbers have years of experience dealing with burst pipes of all types and sizes. Let our expert team come out and fix the broken pipe professionally with upfront price quoting before we start. When hot water stops running in the house, this can have a major impact on Sydney homeowners and commercial businesses. Call a hot water plumber such as Wilco Plumbing Services who will be able to take care of any problems that you might be having with your system. We will always have the required tools, knowledge, and expertise for the repair of your plumbing system and getting your life back to the same old routine. How do you know if there are issues with your hot water system? Typical signs include your hot water not running as long as it used to, or perhaps the water is warm but not hot like it used to. Other signs include banging or cracking noises inside the water tank which is usually a sign the element or tank seal has broken. To repair and fix these issues requires a professional trained plumber. These machines are powered by either electricity or gas and as you might have noticed they are attached to the water supply line. Trying to work with such a type of machinery can be dangerous even if you have some sort of basic knowledge. It is for the best that you simply contact a hot water plumber as they will be far more knowledgeable and experienced with such issues than you will ever be. Once you have contacted the appropriate hot water plumber, they will proceed to evaluate the current situation and find out the cause of the hot water system not functioning. There are some cases when you will have to buy a completely new water tank. If that is your case then the hot water plumber will probably be more than happy to help you out in choosing a new machine that would best fit the requirements of your home or business building. You might even be advised to try out one of the modern tankless hot waters. Having hot water whenever you need it is essential for every person. If you are suffering from any kind of problem with your hot water system, then the first thing that you should do is contact a hot water plumber to come and take a look at it as soon as possible. They will be able to easily identify and fix the problem and you will be back to normal in no more than a few hours. There is no denying the fact that winter has already come upon us, even though it is still May. The bitter winds and cold Sydney weather will have already come to us and there is nothing we could do to change this fact. At this time of the year one of the main concerns that we should have is to find a way to keep our families warm during the cold weather and ensure that they can freely take a hot shower whenever they feel like it and whenever they need it. Wilco Plumbing Services come directly to your home or office and resolve all of your issues. We are professionals, licensed and available 24×7. Save the time, avoid the headaches and have your plumbing completed on the day. Call us today. Scalding water occurs when there is a sudden gush of pressure from the taps where hot water comes out the end. This can be a very unpleasant experience and usually happens where there has been a change in water pressure somewhere around in the house. Typical scenarios that cause this include toilet flushing or washing machine use. Our plumbers can easily fix this problem by installing pressure balance devices that detect the changes in pressure and automatically balance it out. If you feel like your children or hands need protection from water scalding, then contact us at Wilco Plumbing Services, we guarantee competitive on the spot quotes and instant hot water solutions across Sydney. Warm water circulation involves keeping the warm water readily available ready to use in the shower or at the kitchen sink. This solution is very handy especially when you are looking at rushing in the morning or evening in the shower to head off to the next appointment. Warm water circulation will have the hot water readily available to use. Our plumbers install automatic timer and thermostat water circulation systems that are efficient and cost effective, call your local Wilco Plumbing Services for a free quote. Our gas plumbing service helps connects all your gas appliances and fix gas piping around the home. Our gas plumbing service can be used to connect up your hot water system, gas stove and gas heating systems. Wilco Plumbing Services are experts at identifying gas leaks around our Sydney homes, particularly since gas leaks can cause death. Installation of gas sensors and ample ventilations are two ways your plumber can help put the safety of your family first. Wilco Plumbing Services is your reliable service provider for gas plumbing and fitting all around Sydney. No matter if your house, commercial unit or strata management complex requires gas installation, maintaining or repairing services, our plumbers are your best option. There are several valid reasons why it is a good idea to hire a professional plumber to carry out all of your gas fittings necessary for your Sydney home or business building. Although there are some jobs that you might be able to do on your own around the home, there are also others that can only be done by professionals with experience and expertise on the subject as well as proper training. One such subject is our Wilco Plumbing Services gas fittings services. In addition, gas fitting professionals at Wilco Plumbing Services are also responsible for installing any kind of new appliances that run on gas. You should rely on their services if you want to be assured that your safety as well as the proper performance of these appliances is intact. Professional gas fitting services also include having the professionals hooking up the appliance to the proper gas feed, and ensuring that there is proper ventilation in the room. They will also be able to test the unit under various circumstances and make any kind of safety adjustments that are required. They are fully responsible for making sure that everything is done the proper way and meets the regulations and safety requirements standards that have been set. If you are not a professional yourself, then the best thing you could do is leave all of the gas fittings services to the appropriate people. Toilets and taps have limited lifespans, both can break and damage due to on-going long term use. Wilco Plumbing Services are available anytime of the day all year round in Sydney to resolve the headache of your broken toilet or tap. Therefore no matter the cause or the type of the experienced plumbing problem, do not hesitate to call the licensed and trusty professionals of the Wilco Plumbing Services team, who will instantly help you to solve any tap or toilet related issue on the spot, no matter if it requires giving a simple advice on the phone or to move rapidly out to the customer. Tap or toilet leaks, breaks, blockages affect also shopping centers, restaurants, offices, commercial building premises, because they are used at a frequent rate by the customers, workers and other people. We have been servicing Sydney for years including commercial buildings, schools and government departments. This demonstrates our excellent workmanship and prompt plumbing services turn-around time. In addition, our lifetime warranty on all workmanship is unique to the plumbing industry in Sydney. For us it does not matter when you request our plumbing services, you can count on us non-stop, 24 hours a day, and 365 days a year. We know that these kind of plumbing issues appear when unexpected so we are here to help you. Call Sydney Wide in any case of toilet plumbing, tap plumbing and all other types of plumbing emergencies! Call 02 9186 3782 today! 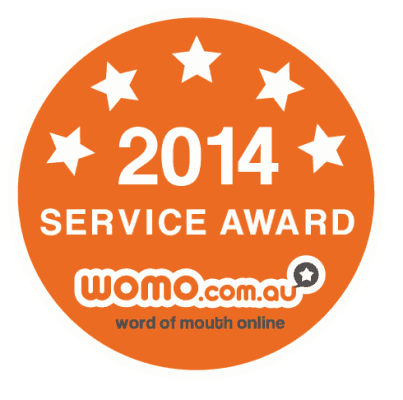 Managing toilet repairs in Sydney is easy through our friendly customer service team at Wilco Plumbing Services. We will not only be able to take care of all the toilet repairs but will also ensure that no such problem will occur again any time in the near future. Calling a professional is the best decision that you could make when you have some kind of problem with your toilet. There are a number of toilet system problems that you could come across during your lifetime in Sydney. You might for example have water leaking into the bowl or water leaking onto the floor when you flush the toilet. Such problems can be caused due to various reasons and the only way that you can be certain about why they are happening is calling a professional plumber from Wilco Plumbing Services for an inspection. After we identify the problem they will be able to take care of all the necessary toilet repairs so that you can once again get everything back to normal. There are even some other problems in Sydney such as having a loose or broken toilet seat that professional plumbers at Wilco Plumbing Services can take care of as well. If you think that the toilet fills the water back really slowly then you might want to contact a professional to take a look at it and if possible make it work better and more efficiently. There can be a wide variety of problems that you are suffering from without even knowing and thinking that is something normal. This is why if you have any kind of doubts at all, no matter how small they are, you should call a professional plumber and have them come and take a look at your toilet system. If they manage to find any kind of problem in time and take care of the toilet repairs necessary to remove it they might actually be able to save you a lot of time, money, and effort. In addition to all of this, a Wilco Plumbing Services professional plumber in Sydney is not only capable of performing any kind of toilet repairs but will also be able to install you a brand new toilet in place. If you think that it is finally time to change it then you can call a professional to come and take care of all the installation that is needed to ensure that the new toilet works as smoothly as the old one. As you can see professional plumbers have a wide range of knowledge and expertise when it comes to toilets. They can easily identify any kind of problem and take care of all the toilet repairs in time so that you can live your life normally again. If you do not make sure that everything is working properly then you risk suffering from far greater consequences as a mere toilet problem can result in damage to the whole watering system. Make sure that everything is alright by contacting the professionals: Wilco Plumbing Services today.